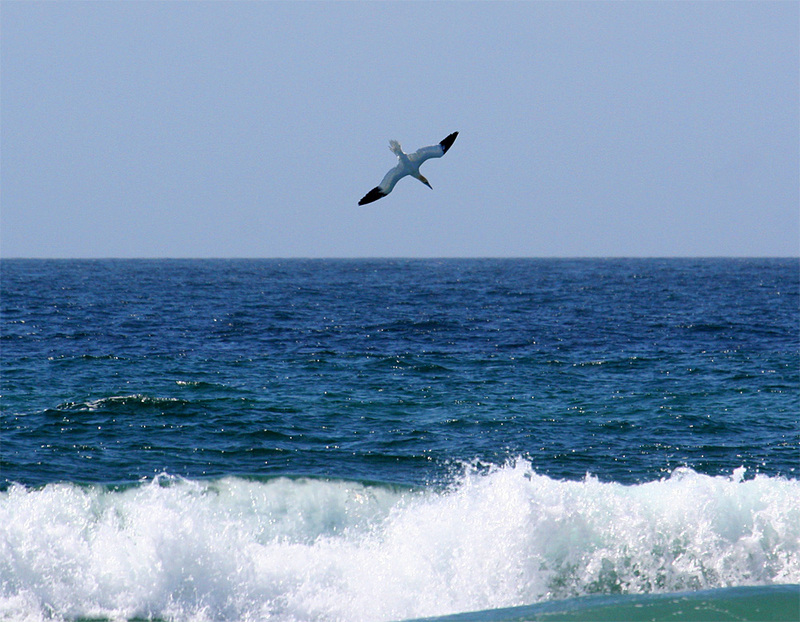 Gannets can be seen in many places around Islay, flying and diving on the hunt for food. This one my sister captured at Saligo Bay while it was diving towards the sea to catch a fish. This entry was posted in Guest Picture, Repost, Sunny Weather, Wildlife and tagged Gannet, Islay, Saligo Bay by Armin Grewe. Bookmark the permalink.